Two new models with improved technology provide more efficient cutting and run time. 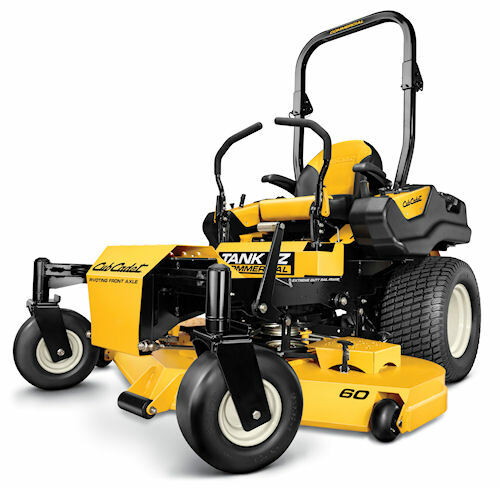 The all-new TANK SZ and TANK LZ from Cub Cadet put a new wrinkle in the commercial grade zero-turn riding mower market. The TANK SZ with its all-wheel steering (Synchro Steer) and steering wheel offers maneuverability and improved traction, along with better operator ergonomics than competitors starts at $7,999. The TANK LZ is a lap bar controlled ZTR mower with quicker steering response than the competition and a fully adjustable lap bar system to give the operator unparalleled access and egress from any position. The LZ starts at $6,999. Cub Cadet's new Tank SZ steering wheel zero-turn model features four-wheel drive steering for improved traction and maneuverability. 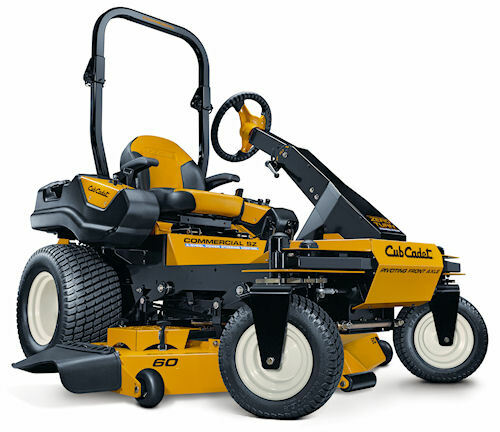 Both machines feature Cub Cadet's sloped-nose deck design with reinforced pulley, belt and drive system, along with smooth arc overlapping blades and a high-velocity airflow dispersion design. A newly redesigned TorquePack drive system ensures professional quality cuts at high speeds, on steep inclines and in wet grass. The TANKs ride on a full-length, beam rail system designed for strength, stability and precision. It's stronger than tube frames and features 3/8-inch steel. The frame carries a lifetime warranty. For more information on the new TANKs visit www.cubcadet.com. The new lap-bar zero-turn from Cub Cadet, the TANK LZ, offers super quick steering response and full adjustability for rider comfort and egress – regardless of position.